Wojciech graduated from Wrocław University of Environmental and Life Sciences, the Faculty of Veterinary Medicine, Poland in 2013. Since the third year of his study, he began to volunteer at one of the major veterinary surgical centers in Poland. During that time his passion for veterinary surgery began to grow. After being awarded Doctor of Veterinary Medicine degree, he have completed a surgical internship and worked as a young surgeon at the Small Animal Surgical Center in the west of Poland. At the same time, he completed several externships in U.S focused on general, orthopedic and neurological surgery both in companion animals as well as wild animals. 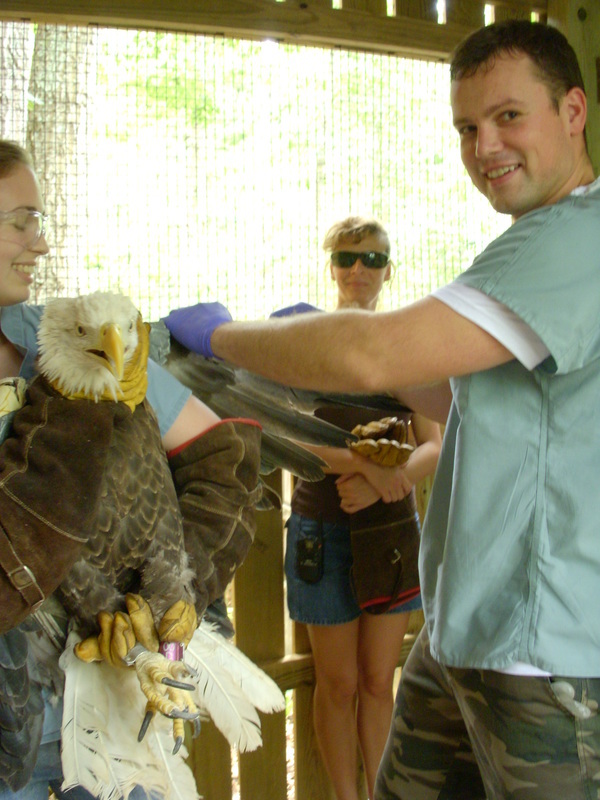 During that time, he had the privilege of being trained at Wildlife Center of Virginia, Wynesboro, VA; Chicago Veterinary Emergency & Specialty Center, IL and WestVet Animal Emergency & Specialty Center,Boise, Idaho. Because of several outstanding surgeons who inspired him and encouraged him to develop within neurological surgery area, he started to operate on dogs and cats affected with brain tumors. This experience made me aware of biological changes in the brain, related to growth of tumors and had a great influence on pushing his carrier into field of brain tumor treatment. He is strongly interested in using viruses as a vectors in targeted oncolytic gene therapies as well as all aspects of usage of nanoparticles as a treatment for malignant brain tumors. Wojciech strongly believes that combination of both clinical and scientific standpoints will help him in pursuing a surgical career in the United States and to apply for the veterinary neurosurgical residency.